Herbal medicine and supplements are often utilized in order to capitalize on the wide variety of chemical compounds found in plants. 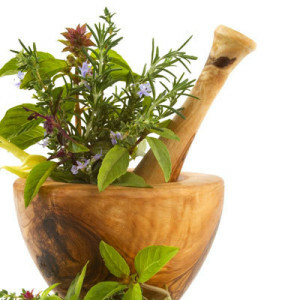 The use of herbs as medicine is especially prevalent in many non-industrialized societies. Many plants have medicinal properties that are capable of performing important biological functions within humans. When consumed at small levels, many chemical compounds of plants are potentially beneficial for long-term human health. These chemical compounds often function in a similar manner as the chemical compounds of conventional medicinal drugs. These herbs often have culinary uses in addition to medicinal uses. While less common in industrialized societies, herbal medicine and supplements have become increasingly common in clinical settings as recent scientific evidence has proven their effectiveness in treating disease. The origins of some modern pharmaceuticals can be found in herbal extracts as well. The herbal extracts are drawn from raw herbs and purified in order to meet pharmaceutical standards. Additionally, herbal medicine and supplements are often favored due to their relatively lower cost when compared to conventional medicinal drugs. The ingredients formulated in Gluco-Solve have been purported to have the following benefits. Gluco-Solve makes no claim as to the efficacy of individual ingredients. Studies have been conducted on each individual ingredient and we encourage you to investigate the results. Gluco-Solve really works! I was skeptical at first, but I gave it 30 days. I have lost 10 pounds, I have more energy, and I feel GREAT.